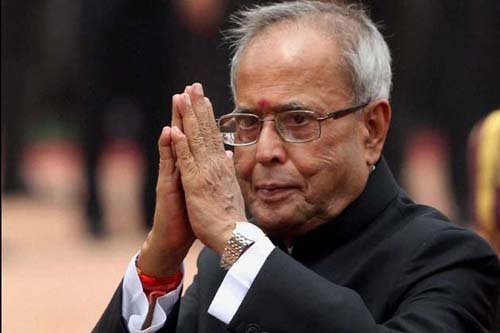 In a strongly worded speech the President of India, Pranab Mukherjee, said this week at the inauguration of the ‘Andaman & Nicobar Tribal Research and Training Institute’ (ANTRI) that attempts to assimilate tribes into the mainstream had failed and were wrong. The President told the gathering in the Andaman and Nicobar Islands that ‘the overwhelming view today is that assimilation has failed’ as it has led to the complete disappearance of whole peoples. This is felt particularly in the Andamans where Boa Sr, the last of the Bo tribe, died four years ago. The knowledge and language of her people died with her. Mukherjee called for the Jarawa tribe in the Andaman Islands to be protected ‘in their own ways, in their own environment and in their own circumstances’, adding that he was against disturbing them in any way for ‘so-called development’. He emphasized the importance of tribal peoples themselves having ‘total involvement’ in the policies that affect them, stating that thrusting our own views on them would be ‘disastrous’. The President also challenged the derogatory notion that tribal peoples, such as the Jarawa, are living in the past – a view that often leads to them being called backward or primitive. He said ‘they are not living as they did a few centuries ago, they have also changed in their own way’. These statements echo the message of the Proud not Primitive campaign which calls for mainstreaming policies and language to be abandoned in India and for tribes such as the Jarawa to be able to make their own choices about how they live on their own land.